Do you hate to get sick? 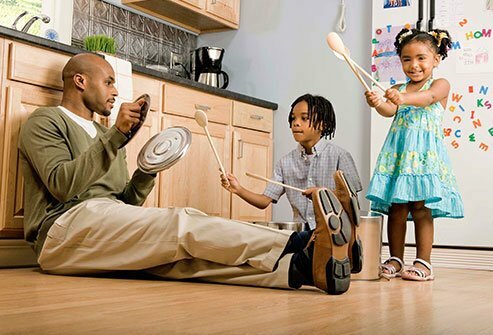 Wish there was a way to keep your family healthier? 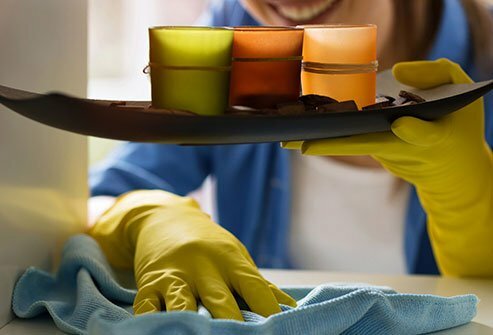 Even if it isn’t the highlight of your day, keeping your house clean can pay big rewards in terms of your health. Infectious viruses and bacteria can be tracked around the house if a family member is ill, and that can spread the infection and lead to new outbreaks. There’s also the danger of dander and other allergens, which can threaten your respiratory health and leave you feeling miserable if they’re left to linger in your home. Some spots in your home are more likely to harbor germs and allergens than others, though. And the frequency with which you should clean the various parts of your home varies from chore to chore. You don’t have to be confused, though. 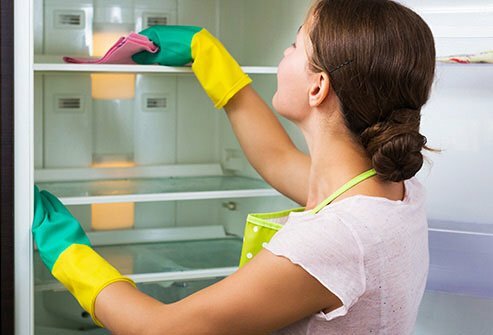 Just read the following guide to find out how frequently your chores should be carried out to keep your home and family as healthy as possible. When you think of your daily chores, you may think of dishes, sweeping, possibly laundry—but cleaning your smartphone? It’s not at the top of most cleaning checklists, but your smartphone could be making you sick if you don’t keep it clean. According to one study, the average person clicks, taps, and swipes more than 2,600 times a day over 75 separate sessions. 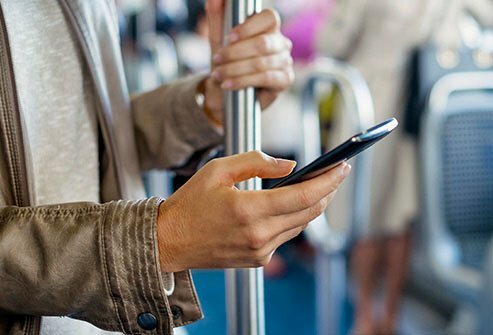 All of that use means your phone is spending time with you everywhere you go, whether it’s somewhere clean—or somewhere like the toilet. That makes your phone a hotspot for germs. A separate study showed that of 150 phones, 124 showed signs of bacterial growth. And remember—this device touches your ears, your lips, and the side of your face. The best way to keep your smartphone clean is to wipe it with rubbing alcohol. Before you do, though, check your manufacturer’s instructions to avoid damaging the device. And while you clean the phone, be sure the case gets wiped down as well. Cross-contamination can be a serious problem in the kitchen. Every time you cook with raw meat, you stand the chance of spreading foodborne pathogens like Salmonella. Although most people think they’re being careful, studies have shown that it is extremely difficult to know how far the dangerous microbes have traveled in your kitchen. 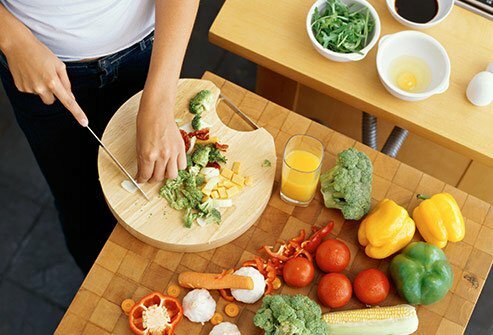 One of the best ways to keep your kitchen meals free from food poisoning is to wipe down kitchen counters every day. Use a sanitizing product to keep germs off your counters, and be sure to wipe down any surface that may come into contact with food. That’s important to make sure last night’s bacterial leftovers don’t end up in tomorrow’s lunch. 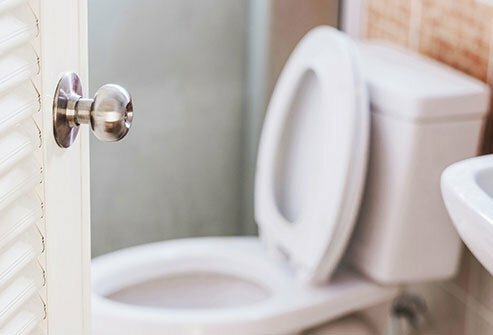 Unless you love to clean, the thought of wiping down your toilet every day probably sounds like overkill. But wiping around the toilet bowl every day is a good way to stay infection-free. It sounds like quite a chore, cleaning the toilet each day, but remember this: if you’re doing this job each day, it doesn’t take nearly as much scrubbing each time. To make it easier, keep your cleaner close to the toilet. If it’s convenient enough, you can turn this into a healthy habit. The whole job of a humidifier is to spew moisture into the air. Guess who loves moist environments? Mold, mildew, dust mites, and bacteria, that’s who. If you use your humidifier heavily (overnight, for example), you ought to clean it about every three days. 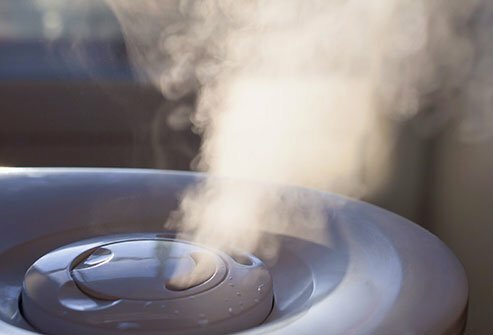 The details on how to clean a humidifier differ from brand to brand. Check your manual. Most manufacturers recommend cleaning with vinegar or bleach. Bleach is good for killing off mold and mildew, which is certainly a way to reduce risk of exposure to them from a humidifier. Also, try not to overdo it. You should aim to keep the humidity of your home at about 45%. Any more than that is just an invitation to allergens like mold and dust mites. If you’re not sure how humid your home is after using a humidifier, consider using a hygrometer, which measures humidity. Many companies offer combination thermometer/hygrometers, and they can be fairly inexpensive if you shop around. Bath towels don’t need to be washed every time you use them. But they should be used frequently enough to discourage mold and mildew. The experts recommend washing these every three or four uses, or more frequently if you’re a sporty person or otherwise sweat a lot. When you aren’t using your bath towel, make sure it’s hung up. That lets it air out, and helps further prevent mold, mildew, and bacteria from growing in one of the dark, damp places they thrive in. Bras don’t need to be washed every time you wear one. They can be worn about three or four times before they need to be cleaned. Just make sure you’re paying attention if you’ve been sweating, in which case you’ll want to wash these more frequently. Your bed sheets collect a lot of skin flakes—about a million a night on average. Dead skin encourages dust mites, which feed off of it. So you can keep down this common allergen, - be sure to wash your bed linens once a week using hot water around 140 F.
Although once a week is a safe sheet-washing schedule for most, you may want to wash yours more frequently. Consider how you use your bed. Do your pets sleep on the bed? Do you sweat heavily at night? Do you scarf down any midnight snacks in bed? If so, it would be best to change them sooner. Having a second set of sheets makes this easier. Places where you put your hands are more likely to accumulate bacteria and viruses. Remote controls fit the bill. While you’re busy scanning through movies and TV shows, your fingertips are shedding their flora—that’s microbiology talk for all the microscopic creatures that live on your body. Then if you snack in front of the set as so many people do, you’re transferring the germs left on the remote straight to your food. And if some of the germs carry disease, you become a prime target for infection. To avoid sickness, wash your remotes once a week. You don’t want to shock yourself or ruin your electronics while you clean, so make sure the batteries are out first. Next, take a cotton swab and dip it into a mild, soapy solution. 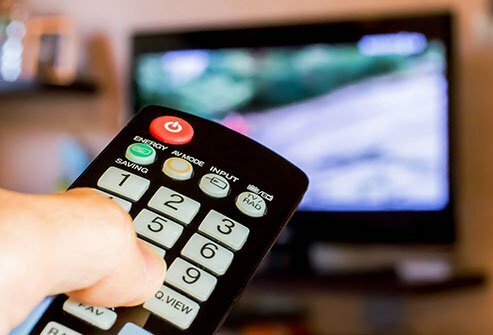 Then scrub the buttons with the swab, along with anywhere else you tend to place your hands on the remote. After the soaping, wipe everything down with a solution that is one part vinegar, two parts water. That’s enough vinegar to kill off most bacteria. Finally, before replacing the batteries, make sure everything is nice and dry. Whatever trinkets you store out in the open, dust them off weekly. Take a damp, soft rag to pictures hanging in frames, side tables, bookshelves, and any decorations you leave out. A microfiber cloth will work, too. The health benefit has to do with allergies. By keeping down dust, you can avoid dust mites, a common allergen, along with anything else mingling in your dust such as pollen. Allergy triggers like pet dander and dust are tiny—sometimes microscopic. But as small as they are, they still follow gravity. Initially they’re hovering above your floors, but they eventually come down. 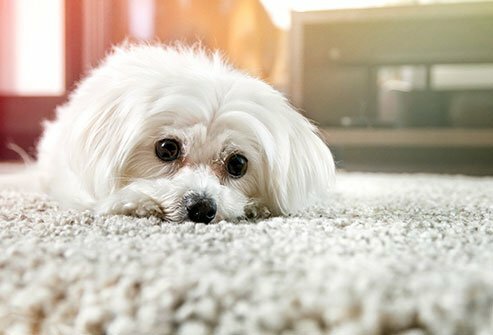 Carpeting traps dust and other allergens in its fibers, only to be kicked back into the air once you walk on your carpets. Carpets need to be cleaned once a week to keep your allergy triggers from overwhelming your immune system. That means vacuuming for large carpets. For small rugs, throw them in the wash once a week. Kitchen floors get sticky, and they’re the last refuge for spills and splatters that escape notice on the counters. If you have a sticky spill, mop it up right away. But even if you don’t, get the mop out once a week and mop down your hard kitchen floor. You’ll want to sweep more frequently than that, especially if you have kids. Depending on how messy the eaters are in your home, you may want to sweep daily or after each meal to keep pests and germs from gaining ground where you eat. Razors need to be replaced somewhat frequently—typically once every week or two. For men, a razor will clean up your face five to seven times before it needs to be replaced. Women may want to do this more frequently, as their blades have more area to cover. As soon as your razor starts to tug on your skin—especially if you’re shaving with the grain of your hair growth—you’ll want to replace it. 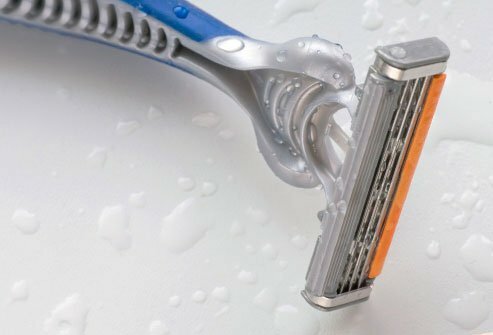 The more a razor pulls against your skin, the more likely your skin is to get nicked. Plus if you’re using a dull blade, chances are greater that it’s been exposed to bacteria on the sink counter or bathtub. That means every nick stands a chance of infecting you. One common result of shaving infection is folliculitis, which causes tiny, irritated bumps to appear on your skin about a day after you shave. 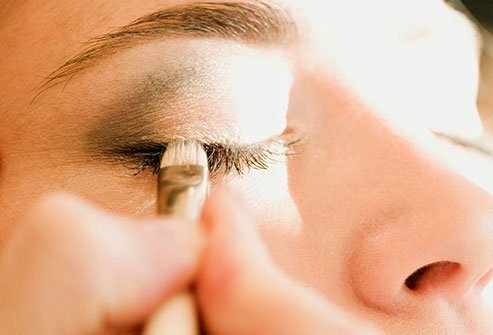 If you notice yourself breaking out when you apply makeup, your brushes could be causing the problem. You need to keep these washed frequently. That’s true especially when you leave them out on the bathroom counter, where brushes can be exposed to hair spray, dust, and anything else that gets into the air around your sink. If your brush is applying wet products, including concealer, you should wash them every two weeks. The same goes for brushes that apply any product around your eyes, such as eye shadow, whether or not the product is wet. Sponges are particularly good at absorbing moisture, making them ideal habitats for yeast and bacteria. Brushes that apply dry cosmetics, including powder, can wait to be washed for about a month. When you do wash your makeup applicators, use a mild soap such as dish soap. Scrub them gently with warm water and leave them to sit on an absorbent surface like a towel for about a day. Once your brushes and sponges start to look worn and frayed, toss and replace. Yes, even this helpful machine that keeps your dishes sparkling needs to be cleaned once a month. But how do you clean one? The first step is fairly simple: make sure the exterior is wiped down. Use a sponge, hot water, and a cleaning solution or soap. If it’s stainless steel, use glass cleaner to remove grime as well as fingerprints. Newer dishwashers have manual-clean filters. They filter out bits of food to protect your plumbing, but as you may guess that leftover food can cause some truly unpleasant odors. Remove the filter system below the bottom rack about once a week, and unscrew the center cylinder. Clean all the parts in the sink. A brush can be useful to get the grainy bits loose. While you’re at it, check the spray arm for any clogs. Finally, it’s time to sanitize. 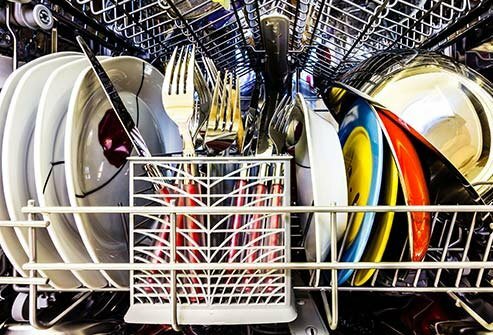 Put a clean bowl holding two cups of white vinegar near the center of the bottom rack. Then run the normal cycle of your dishwasher. Although this is a good once-a-month cleaning solution, if it’s been a long time (or never) since you cleaned your machine, you may want to start with a dishwasher cleaner from the store. These cleaners are tougher than vinegar and they can remove mineral deposits as well as discoloration. Furniture has so many nooks and crannies, buttons and spaces that can trap germs and allergens. 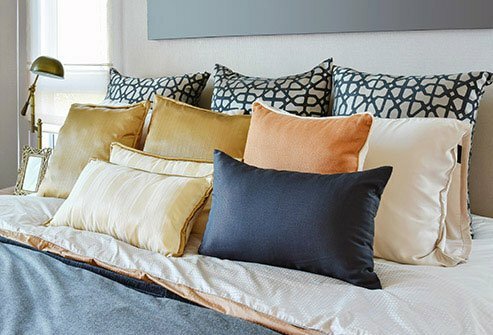 If you’re serious about keeping a clean, healthy home, make sure these upholstered items get the vacuum once a month. 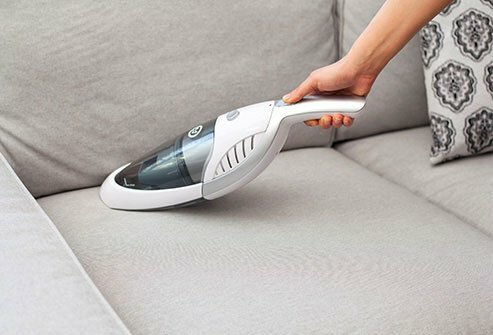 Be sure to vacuum cushions and the spaces around them regularly. Spills, on the other hand, should be cleaned right away. Look for a reliable upholstery cleaner for these occasional accidents. If you want to preserve the life of your furniture, have it steam-cleaned yearly. 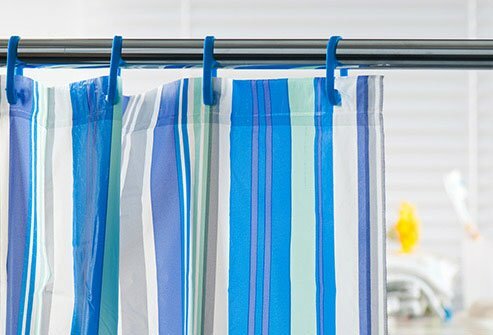 Let’s get real for a minute—when’s the last time you washed your shower curtain? For many the answer is “never.” Shower curtains come into contact with your skin, though, and they stay wet for a long time, making them fertile environments for fungal and bacterial growth. One handy way to keep soap scum off your shower curtains is to switch from soap to cleanser or body wash. When you do clean them, spray your shower curtains down with a mixture of 50/50 water and white distilled vinegar. If you don’t like the smell, you can tame it with a few drops of lemon oil. Then scrub it down with a scrub brush. One of the great things about this method is that you don’t have to rinse—your next shower will take care of it for you. 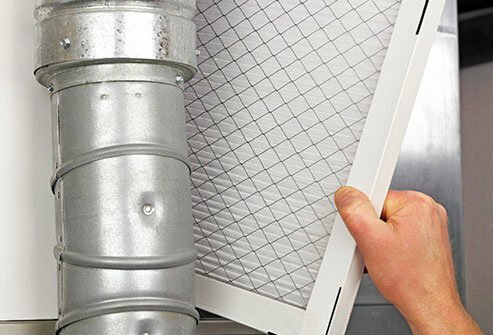 Air filters are great things for your central air conditioner and heater. They keep outdoor allergens outside where they belong, or inside the filter itself. But they don’t do much good if they aren’t getting regularly replaced. To keep the air inside your home pure, replace them monthly. That’s true for in-room air conditioners as well—replace those filters monthly. If you’ve got windows, chances are you have blinds and shutters as well, and possibly curtains. 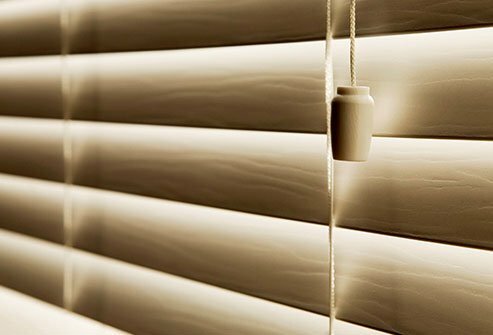 Blinds and shutters benefit from a warm, soapy scrub once every three to four months. 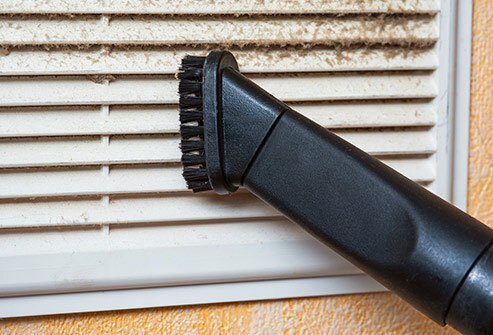 This keeps dust away, which can be helpful for preventing allergies. The curtains should be taken down once every four months and put in the washing machine. 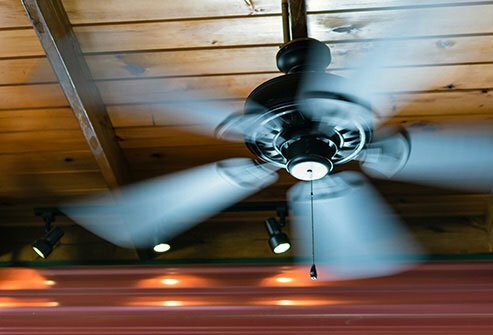 Ceiling fans keep air circulating in your home, and they can help cool your kitchen too. While you cook, though, the grease that escapes from your cooking can fume off and rise, ultimately clinging to your fan blades. That grease can then trap dust and other irritants. If your kitchen fan is dusty, sooner or later that dust will end up in the air you breathe. To avoid this, wipe down the blades as soon as you see dust accumulate. To be thorough, take an all-purpose cleaner to the blades and body of your fan once every three months or so. 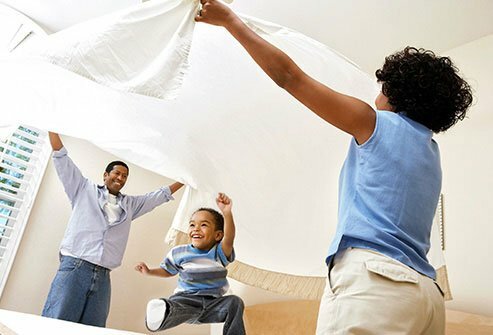 By wiping it down with a damp cloth, you can help keep your family safe from allergy attacks. Dirt, grime, grease, you name it, your washing machine has seen it. Since it’s an appliance that uses water, your washing machine is doing more in its downtime than you may realize. All that water attracts mildew and mold growth—two things you definitely don’t want on your clothes. To keep your clothes clean, you need to occasionally clean your washing machine. About every four months should do the trick. To do this, run your machine with no clothing in it, but add one cup of bleach on the hot cycle. This will sanitize the wash and leave your clothes both smelling and feeling fresh and clean. To the naked eye, your three-month-old toothbrush may look fine. And if you’re especially thrifty, you may try to put off buying a new one a little while longer. That’s not the best idea for your health, though, according to the American Dental Association. The mouth is home to hundreds of different microorganisms. Some of these worm their way onto your toothbrush after every use. There haven’t been any studies showing that these microscopic creatures cause harm, but they do proliferate on your toothbrush. The ADA does not recommend any commercial toothbrush sanitizer, as these have not been proven effective. Instead, you should rinse your toothbrush thoroughly after use with tap water and store it in an upright position if possible to help it dry out faster. And while storing your toothbrushes, don’t let the bristles touch one another. While this should do for the first three or four months, after that point it’s time to replace your toothbrush. The bristles get frayed and wear out at this point, making them less effective at cleaning your teeth and the soft tissues of your mouth. 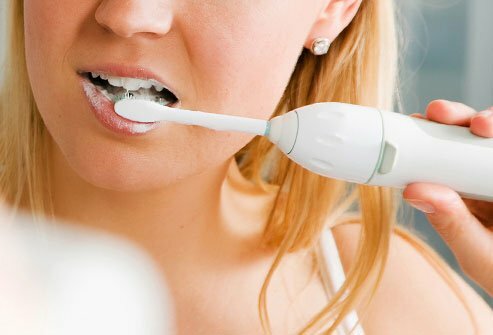 If you examine your toothbrush carefully, you may notice this type of wear sooner than the recommended three to four months. If so, replace it then. For the most part your pillows are protected from pathogens by their cases. But given enough time, pillows will breed bacteria like most other things. The safe approach is to throw these in the wash every four to six months. Put them in the hot cycle, and don’t forget the throw pillows. Duvets and comforters should follow the same rule; wash hot every four to six months. These may be too big to wash at home. 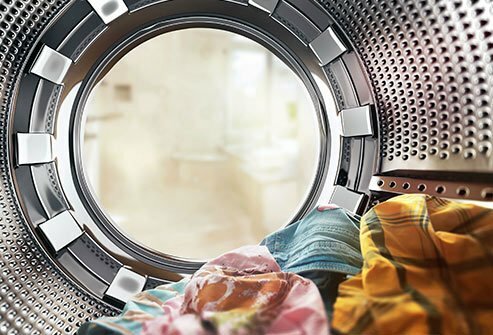 If your machine can’t accommodate them, take them to a laundromat and look for a commercial-size washer. Another option is to get them cleaned professionally. Mattresses do need to be cleaned from time to time—specifically every six months or so. Obviously you can’t throw them in the washing machine, so you’ll need to pull out your vacuum cleaner. 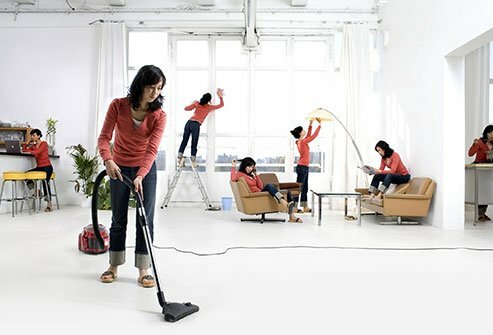 Experts recommend about 20 minutes of vacuuming. 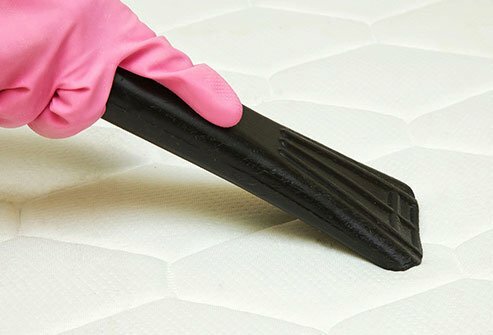 What’s the point of cleaning your mattress? It all comes down to dust mites, those microscopic eight-legged creatures that cause allergies for many people. Reactions to dust mites include eczema, runny nose, watery eyes, itching, and sneezing. Dust mites feed on skin cells from both humans and pets. Since you spend about a third of your life in bed, your dead skin cells end up there too, which encourages dust mite populations to flourish. Cleaning your mattress helps prolong its life. You can further prevent dust mites by using a plastic cover to protect your mattress, but eventually even a functioning mattress will need to be replaced as dust mites continue to proliferate. Some homes have more pollution inside than out. 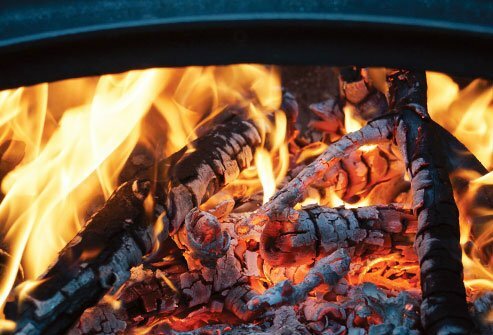 One of the major contributors to indoor air pollution is the fireplace. Fireplaces release soot, fumes, and carbon monoxide, all of which can lead to health problems like asthma in high enough concentrations. To keep the air inside your home clean, arrange to have your chimney swept once a year. Certified chimney sweeps can alert you to issues that lead to breathing problems, and they can clean the gunk and soot from your fireplace. After looking at so many overlooked areas of your home, it’s nice to end with one area that does not need routine maintenance. Despite advertisements to the contrary, cleaning your air ducts has never been proven to prevent asthma, allergies or other health problems. The EPA does not recommend regular cleaning. There are times when you will want your air ducts cleaned, though. If you notice mold inside the hard surfaces of your air ducts, if you have bugs or rodents in the ducts, or if you can see dust billowing out of the ducts and into your home, these are all good times to clean the air ducts. Also, common sense suggests that after a while you may want to have them cleaned as a matter of course. But most of the time don’t worry about it—stick to cleaning your smartphone, remote control and other objects you use frequently if you want to protect your health. Your refrigerator keeps food cold and slows down spoiling, but we have all found things past their expiration date in the back. It's not enough to toss spoiled and moldy food. You need to clean up the mess left behind. Make it a habit to tend to your fridge at least once per quarter. First, toss any spoiled or rotten food. Next, remove all food from the fridge before the clean out. Then clean the shelves and the interior with warm, soapy water. Do not clean the shelves with hot water. The glass may crack! Wipe the interior with clean water to rinse off excess soap. Dry the shelves and interior with paper towels. To disinfect, clean all surfaces with 1 Tbsp of bleach dissolved in 1 gallon of water. Put the shelves back in. Put perishable items back into the fridge. Organize food in the fridge utilizing the crisping drawers to minimize the risk of spoiling.